We were recently joined by presenter, model and rapper, Nomuzi Mabena a.k.a Moozlie. She was here to help ensure that we “Relax” and kick off 2018 on the right foot, hot off the heels of her 2017 debut mixtape 'Versus'. She has been considered one of South Africa’s most popular and trendsetting celebrities for a while now, since 2012, when she won the MTV Base VJ search, beating out thousands of other hopefuls. However she had also been in the public eye prior to that, as a model and by also winning Miss Benoni, in 2010. She may have started out as a model but being an MC and presenter were always something that came naturally to her, so it was no surprise when she started hosting large events around Benoni and Gauteng. This also lead to her being a runner up for SABC1’s Live presenter search, as her face and name got even more popular. Even though her talents lie in all aspects of the entertainment, music has always one of her greatest passions. She surprised many when she signed to rapper K.O’s record label Cashtime Life, and would become known as the Skanda Queen, with her impressive lyrical content and flow. In 2016 she decided to split from the label and go independent. Following her departure, she went to partner up with Cosmopolitan Magazine to drop her 11 track debut mixtape, Versus. 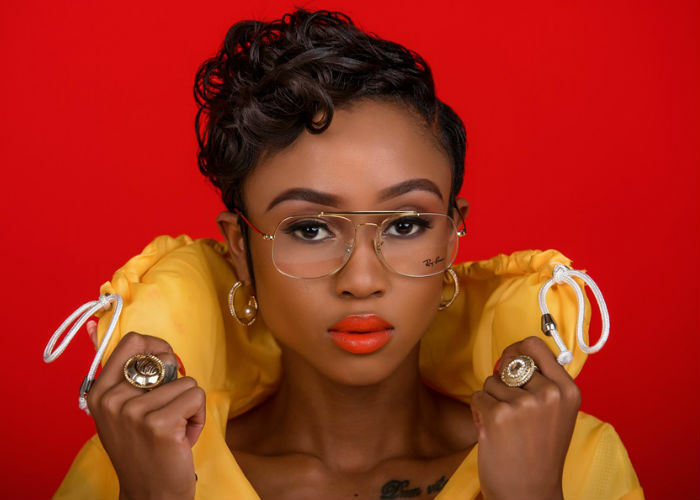 The mixtape fuses two of her greatest loves, fashion and music, it boasts features from great musicians such as Victoria Kimani and Gemini Major amongst others, making her mixtape a must get.